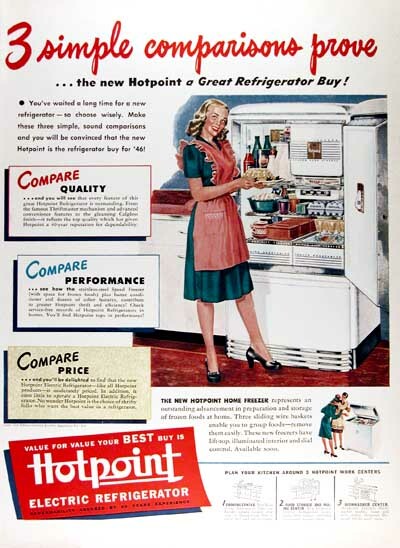 1946 Hotpoint Refrigerator original vintage advertisement. 3 simple comparisons prove the new Hotpoint a great refrigerator buy! Compare Quality. Compare Performance. Compare Price.